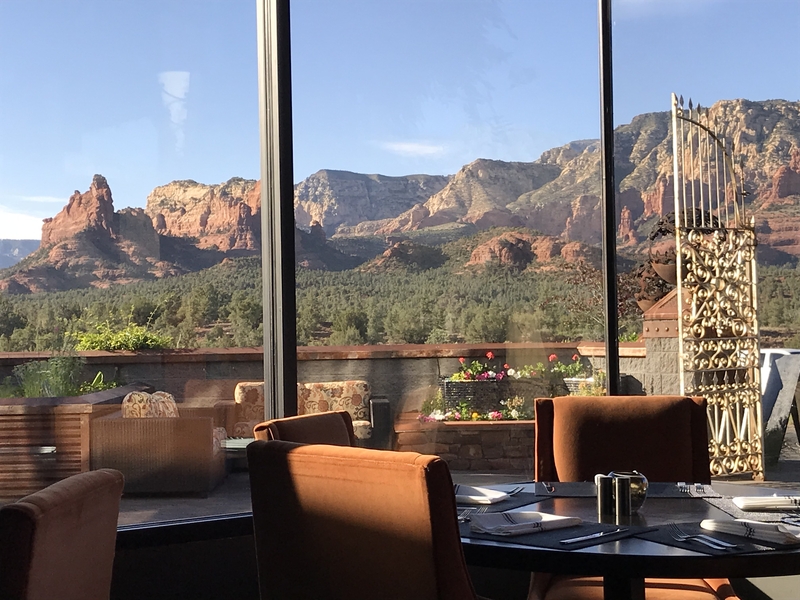 Mariposa Latin Inspired Grill: Just west of downtown Sedona, this is a beautiful restaurant with stunning views of the red rocks. 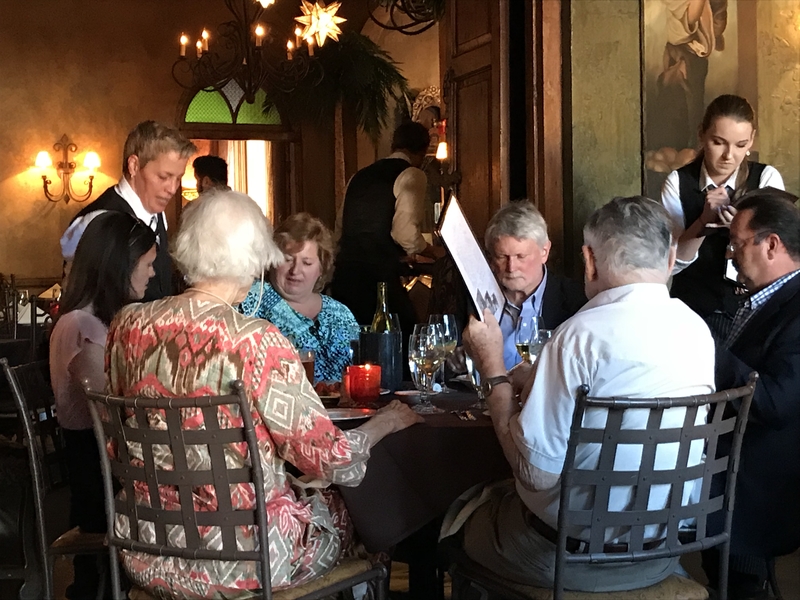 It has indoor and outdoor seating, great service and, an extensive wine list plus a large menu of Latin American cuisine including steaks and seafood. I loved my halibut entree with grilled corn, black beans and quinoa. I highly recommend it when you are in town. It is located at 700 AZ Hwy. 89A just west of downtown. 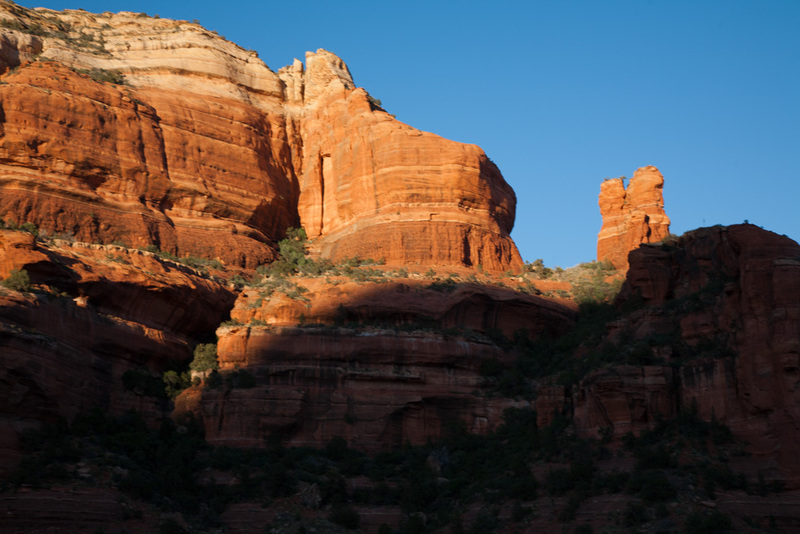 It is one of the four Sedona restaurants owned by Chef Lisa Dahl and the Dahl Restaurant Group. Cucina Rustica Tuscan Grill: Mariposa has a sister restaurant Cucina Rustica located in the Village of Oak Creek. As I was staying in the village, I decided to enjoy dinner at this restaurant and avoid the crowds downtown. It is an upscale restaurant with an extensive menu of Italian specialties and wines. The dining room is really warm and beautifully decorated. There is also an outdoor patio with additional seating and music on certain nights. I enjoyed a very nice dinner as both the fried calamari and beet salad were excellent. 7000 State Route 179. 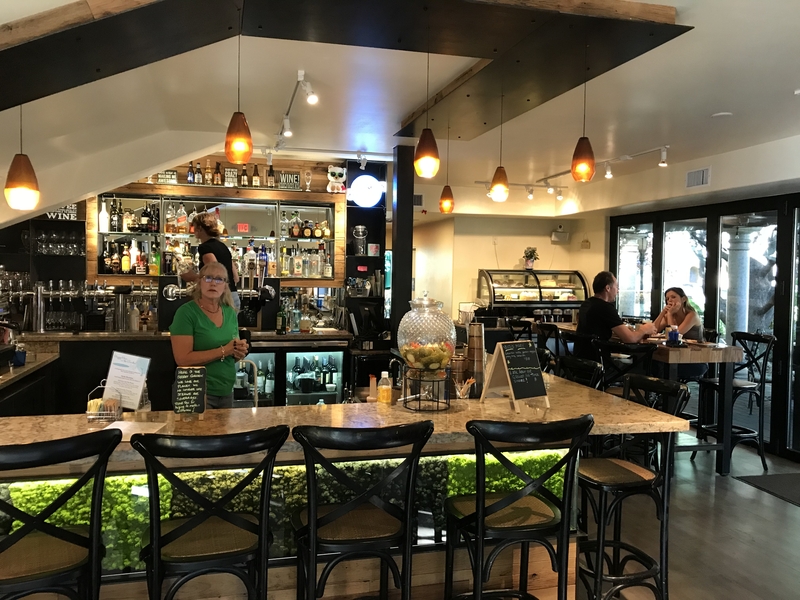 Dahl Restaurant Group in addition to Mariposa and Cucina Rustica has Pisa Lisa the smallest and most casual of its four restaurants with an emphasis on pizza, salads, tapas, panini sandwiches, their Tuscan tomato bisque and homemade gelato. Rounding out the group is Dahl & DiLuca Ristorante Italiano. It is formal and elegant and was their first restaurant to open. They have a large menu to choose from. Tlaquepaque Arts & Crafts Village, the charming collection of shops, galleries and restaurants ,has several good restaurants to choose from. Rene Restaurant & Wine Bar is the more fine dining experience serving continental cuisine with a Southwestern flair since 1978. They have a lovely outdoor patio. The Secret Garden Cafe is a more casual spot and features salads and sandwiches, pastries, espresso and ice cream. The Oak Creek Brewery & Grill is a local microbrewery grill located on the second floor. They offer a casual dining menu along with their ales, porters, IPAs and lagers brewed on premises. Cake Couture Coffee and Dessert is a casual spot for coffee and a great cookie or pastry. Elote Cafe . This is an award wining restaurant south of downtown that features a modern Mexican and Southwestern menu inspired by the markets of Mexico and chef/owner Jeff Smedstad’s 20-plus years of travel across Oaxaca, Veracruz, Puebla and his native Arizona. It has an emphasis on seasonal and locally grown ingredients. It is open for dinner on Tuesday to Saturday starting at 5pm. They don’t take reservations so the line can start at 4:30 which was the case when I was in town. I would either go early or on the later side to make sure you get in. Chef Smedstad was a 2018 James Beard Foundation Semifinalist for Best Chef Southwest and has been featured in the NY Times, Chicago Tribune and other publications. 771 State Rt. 179. One of my favorite spots is to go to the Enchantment Resort, for lunch or for dinner to see the sunset on the red rocks. It is in a really spectacular setting at the head of Boynton Canyon a few miles west of town. There are four restaurants to choose from. They have outside dining but Tii Gavo has the better views. The food and service are good, but the views are what you come for! 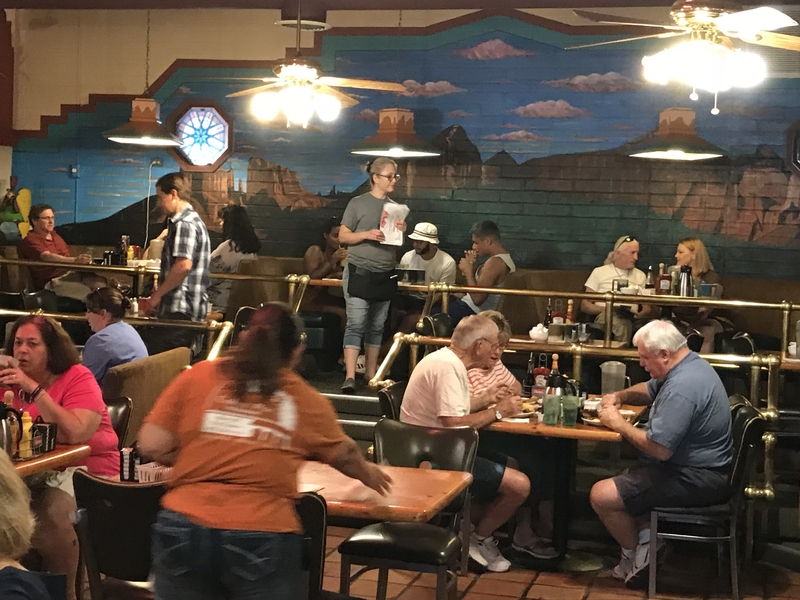 Coffee Pot Restaurant: Located on the west side of town, this is the perfect spot for breakfast before you head out on a hike or to tour the red rocks. Open for over 30 years they feature 101 omelettes. 2050 W. State Rd. 89A. Oak Creek Espresso: Just south of Sedona in the Village of Oak Creek is Oak Creek Espresso. It is a casual, local coffee shop with its small-batch beans roasted on-site plus baked goods. 6500 State Rt. 179. 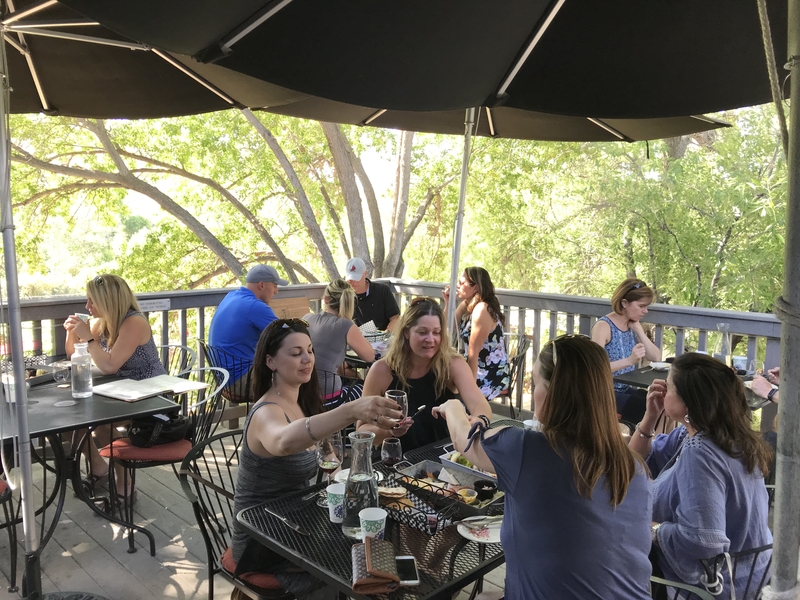 Locals also recommend Ken’s Creekside American Bistro with great outdoor seating for the sunsets and The Hudson that is an upscale, yet casual, local neighborhood restaurant open for lunch and dinner.